The talented Amber from Crazy Little Projects is here today with a sewing tutorial for you all. Hello! 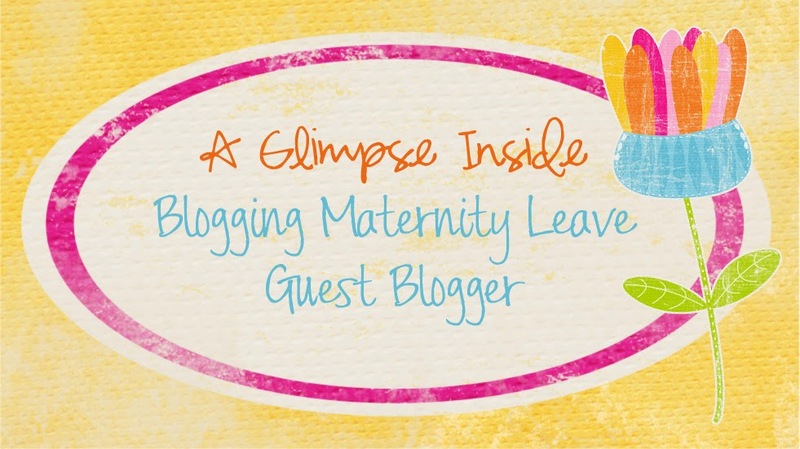 This is Amber from Crazy Little Projects happy to share a tutorial with you today while Allison snuggles her little Sadie! 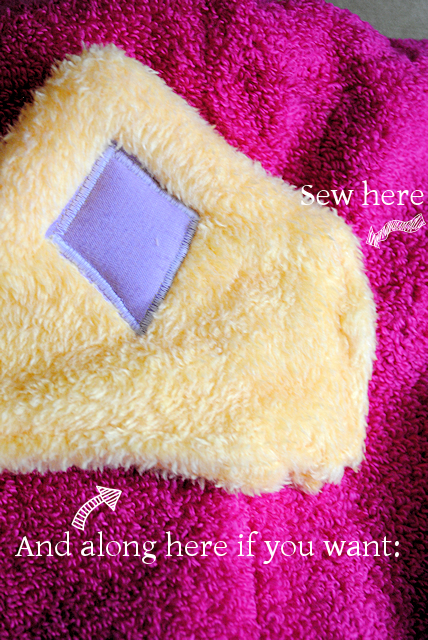 In honor of Sadie's birth I thought it would be fun to do a baby themed, girly girl post, so today I am giving you...a Princess Hooded Towel Tutorial! Now first you should know that I have no little girls, just 4 little boys around these parts. And yes, that's my youngest modeling the hooded towel. He was ever so happy to do that. Give him a few years and he won't want to have a thing to do with princesses! I do a monthly hooded towel on my blog-everything from frogs and monkeys to pink bunnies and sharks, but I think this is the first one I've done that's not an animal. 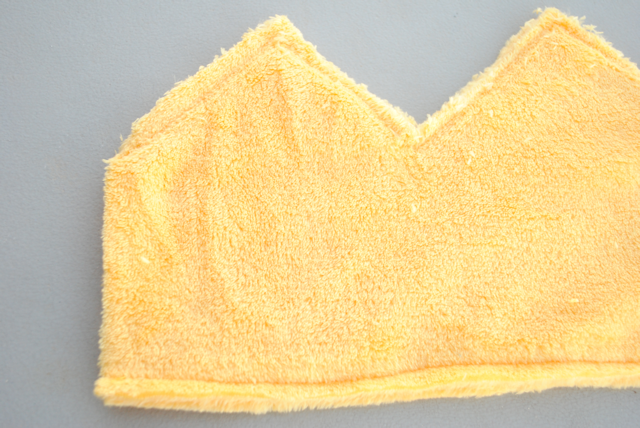 I've had a lot of readers request a princess towel though, so I finally went for it. Now take your crown and pin it so that each edge is on the hood but the crown part goes around the forehead. To do this I actually put the hood on my head and went and looked in the mirror to get the placement right. It will just be attached at the two sides. Remember of course that your head will be a little bigger than your princess. 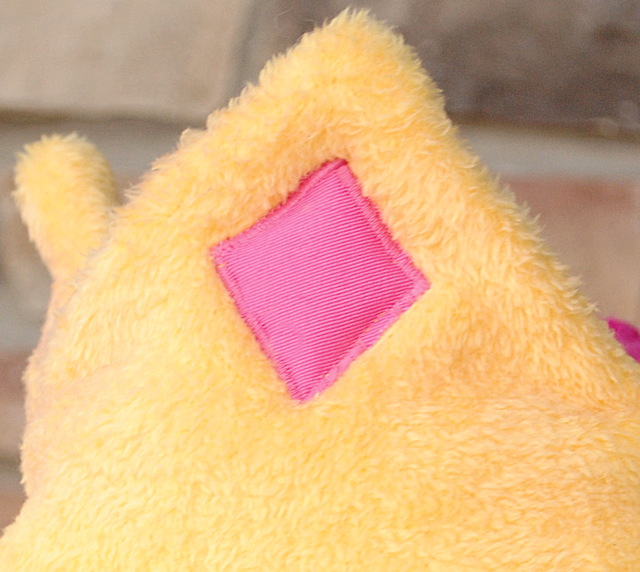 Ideally you can use your princess's head to figure out the sizing, but if not, use your own. Then just sew your hood to your towel and you're all set! 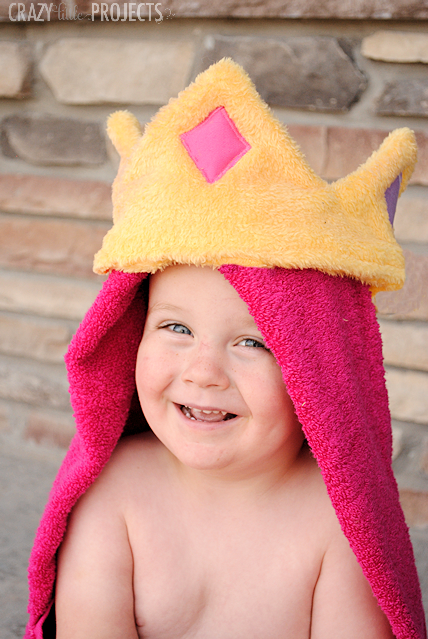 Thanks for sharing this cute hooded towel Amber!